Botanical investigation informs my studio work and often leads to new approaches to making. At the Australian National Herbarium, I studied pressed specimens of endangered species through a microscope. 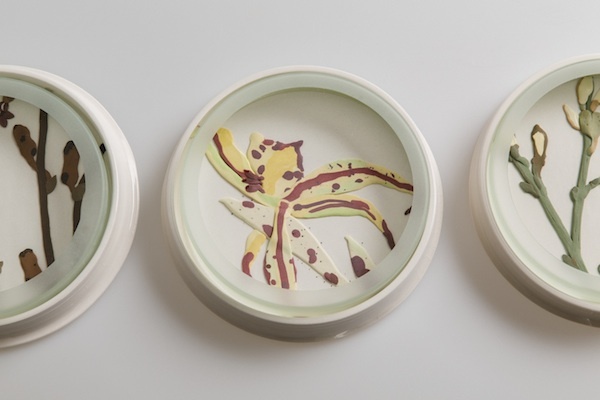 In response I layered coloured porcelain into thrown forms and etched glass lids, referencing scientific equipment. The series of lidded vessels, Seed Jars, is a reference to seed collection as a way of ensuring the future of biodiversity.